Sales Account: GL income/revenue account you wish the revenue from the disposal of the asset to be recorded at the time of sale. 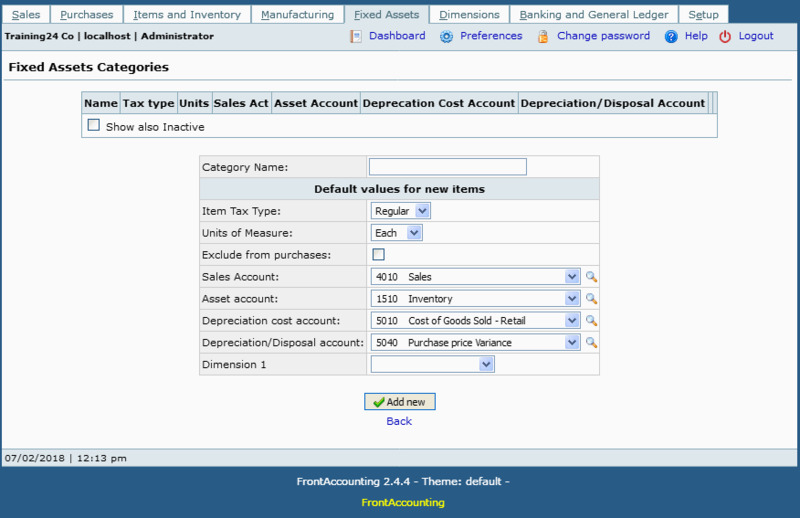 Asset Account: GL asset account that will hold the purchase value of the fixed asset. Depreciation cost account: GL expense account for depreciation expense to be debited/recorded each time depreciation is run. Depreciation/Disposal Account: GL contra-asset account for the accumulated depreciation to credited/recorded each time depreciation is run.